58 p. : ill., music ; 30 cm. + 1 study score + 1 CD. Philip Cooney's kit about Nigel Westlake and Lior's song cycle Compassion is designed to introduce students in Years 9 to 12 to the range of music and compositional techniques contained in this landmark work and to allow Compassion to inspire them in their own creative endeavours. Compassion is a significant work on many levels, and its attractive and compelling music is a wonderful way to introduce students to 21st-century orchestral and vocal composition. Compassion is the result of an extraordinary collaboration between two of Australia's leading creative individuals. It is a melding of ancient and modern musical traditions expressing timeless truths about the power of a changed perspective to affect human attitudes and actions. It is a work of intense beauty, luminosity and grandeur, befitting the wisdom, poetry and passion of the text. In the kit there are activities for each of the seven movements of Compassion, with a variety of listening, score reading and composition tasks from which teachers can choose those appropriate to their students. 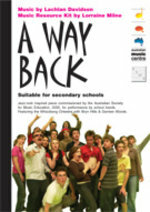 Activity sections are followed by detailed 'Answers' sections for teachers. 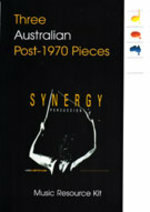 The kit consists of a 56-page booklet, a study score of Compassion and a CD recording of the work (ABC Classics: Sydney Symphony and Lior, conducted by Nigel Westlake). 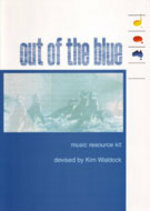 The author of the kit, Philip Cooney, teaches at Wycliffe Christian School in the Blue Mountains of NSW. 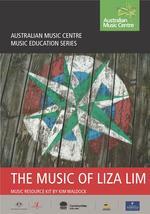 He is a regular contributor to the Sydney Symphony Education Program and has written three education resources for the Australian Music Centre, including the award-winning Dance with Nature: The Chamber Music of Ross Edwards. 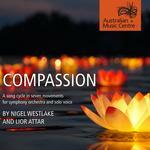 Contents note: A 56-page booklet; a study score of Compassion; a CD recording of the work (ABC Classics: Sydney Symphony and Lior, conducted by Nigel Westlake).